91.9FM Radio Indigo (Bangalore,India) is one of the stations that spans all the four communication mediums covered in Part I of this post. Though they have retired the short code, their usage of WhatsApp piqued my interest. I searched on internet to find other stations that use WhatsApp for listener engagement. The only relevant result I got was Power98FM (Singapore). What could be station’s objective in using WhatsApp? I don’t have WhatsApp on my phone and have limited understanding about its functionalities, my initial thought was perhaps it helps the station know the number of unique listeners who have added it to their WhatsApp contacts. It might be a useful metric apart from the listenership numbers to a sponsor. But, the lack of such functionality within WhatsApp brings it at par with SMS (both short code and long code). So, from numbers perspective, it is of little significance to a sponsor whether the station uses WhatsApp or SMS. 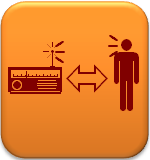 Being similar to SMS, the station will know the number of unique listeners who have added it to their WhatsApp contacts only when they respond against an on-air call for action. A compelling differentiator in favor of WhatsApp is the element of multimedia. One of the contests that I caught on 91.9FM Radio Indigo, required listeners to share their wildest party pictures and the best picture stood a chance to win Party-In-A-Box gift hamper sponsored by JustBake. To me WhatsApp was the ideal communication medium for this contest. The listener did not have to dial the studio number to share their wildest party experiences with the Radio Jockey (RJ) or send a long text describing their wildest party moments, the picture said it all. One can argue that the creative solution can always be tweaked to accommodate the station’s dominant communication medium, for example SMS (in the absence of WhatsApp) to engage with listeners. This is an absolutely valid point. But, one has to appreciate that WhatsApp as an additional medium available to the stations helps drive listener engagement in a manner not possible earlier. More than a year ago, I caught the song Rock On! on 104FM Fever (Bangalore, India). The song bought back memories of my tenure with the music label that owned its rights. I immediately sent an SMS to the RJ. “Hey Darius, I once licensed this song to TV Channels in India.” The next day I get a call from Arjun who was Darius’s show producer and he wanted me to share my nostalgia on-air. Perhaps there are many such listeners who will have a story to share. Likes of WhatsApp makes this engagement and interaction easy for both the station and the listener. Had it been today, instead of a text, it would be my voice message, “Hey Darius, do you know I once licensed this song to TV Channels in India” and all that Arjun had to do was to appropriately slot the voice message in the program clock. Do you agree that likes of WhatsApp elevates the station’s engagement and interaction with its listeners? Please share your valued experience and thoughts. Infact, we have had many more competitions using Whatsapp as the mode of interaction, the response has been tremendous.